Need some healthy snack ideas? Certain foods are high in antioxidants and should be a regular part of anyone’s diet. Prunes are definitely considered an antioxidant, and they actually rank among the foods containing the highest amounts of antioxidants. In addition to helping prevent and neutralize free radicals in the body, prunes can also help increase the body’s absorption of iron. What’s more, these little dried fruits are also a good source of vitamin A, vitamin C, dietary fiber, and even copper. As you can imagine, prune benefits have been the subject of repeated health research for their high content of unique phytonutrients, chlorogenic and neochlorogenic acid. These damage-preventing substances are particularly effective in neutralizing a particularly dangerous oxygen radical called the superoxide anion radical. Prunes have also been shown to assist with oxygen-based damage to fats. Since our cell membranes, brain cells, and molecules such as cholesterol are largely composed of fats, preventing free radical damage to fats is a significant benefit. Eating prunes may also give you some additional heart health benefits! A study published in the "Journal of Ayub Medical College” found that eating three to six prunes daily may help lower your blood pressure. This could be because of the potassium found in prunes, since a quarter cup provides 9% of the daily value for this mineral - that’s a whopping 316.6 mg of potassium! Potassium is an essential mineral for maintaining normal blood pressure and heart function, so prunes may help to prevent high blood pressure and protect against atherosclerosis. Other studies have shown that in addition to protecting fats, the propionic acid in prunes can aid in lowering cholesterol in the body. This helps with minimizing inflammation in the body, thus lowering your risk for heart disease. In addition, prune health benefits also indicate that it is a good source of soluble fiber, and assists in regulating blood sugar levels both by slowing the rate at which food leaves the stomach but also by delaying the absorption of glucose into the blood following a meal. Because of the fiber factor, prunes can help you feel fuller after meals therefore aiding in preventing overeating and weight gain. Reducing plaque buildup in the arteries. As you can imagine, with all of these health benefits, prunes can be found in a variety of natural health supplements. In fact, prune powder is an ingredient in Jon Barron’s Private Reserve Superfood formula, along with other key superfoods. When you buy store bought prunes, try to purchase only high quality, organic prunes to get the full health benefits. They should be plump, relatively soft, and free of mold and preservatives such as sulfites. 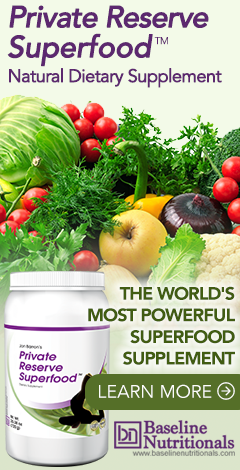 Learn more about natural antioxidants. TELL ME WHERE THE CALCIUM IN MY WIFE'S KIDNEYS (CAUSING KIDNEY STONES) COMES FROM? THEY STATE EXPLICITLY THAT IN MY WIFE'S CASE, THEY AREN'T COMING FROM HER BONES; WHERE THEN? WHAT IS "YOUR TAKE" ON THIS MATTER? WON'T VITAMIN K2, MK-7 TYPE, TAKE CALCIUM FROM THE BLOOD AND PUT IT IN THE BONES? THANKS IN ADVANCE!